Higher brightness than our 1/2″ model. Wider trim for better covering existing 6″ holes. 15 Watt LED Replaces 75 Watt Halogen Bulbs. Type IC Rated, Air-Tight and Damp Location Approved. Higher brightness than our 1/2″ model. For Home Renovations and New Construction – Insulated & Dropped Ceilings. Wider trim for better covering existing 6″ holes. 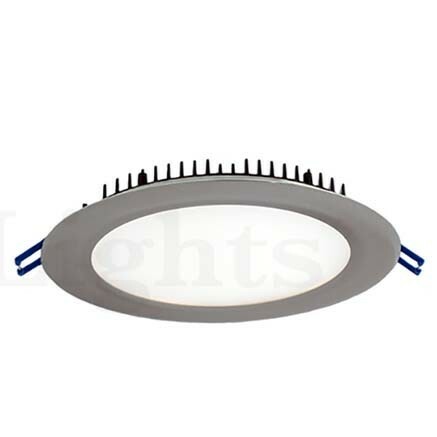 CONSTRUCTION: Round 6″ fixtures with integral LEDs. Isolated external driver factory installed inside junction box. MOUNTING: Cut hole in ceiling and snap fixture in opening with attached spring clips. Not suitable for steam showers, saunas and outdoor locations where directly exposed to rain.